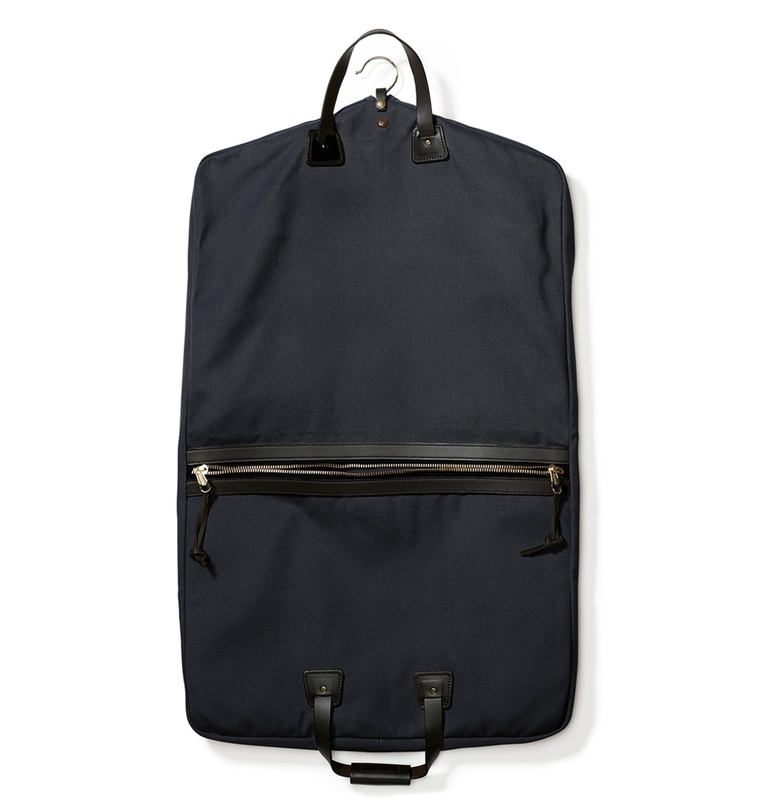 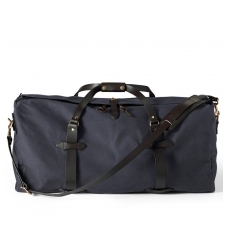 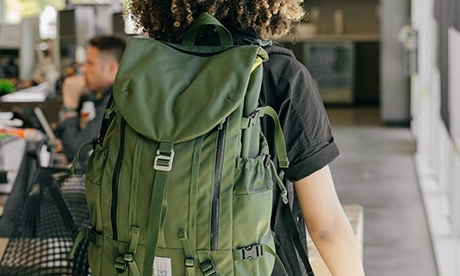 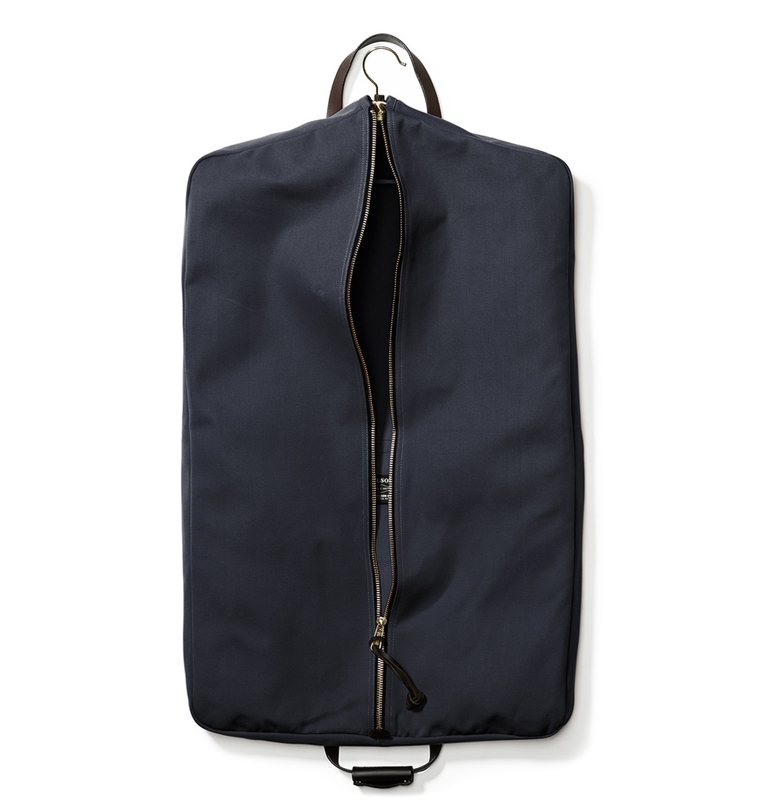 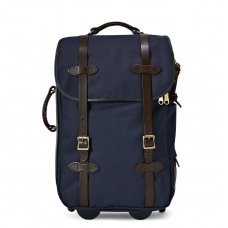 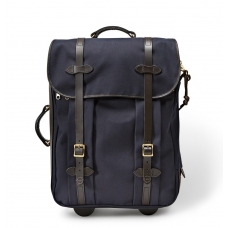 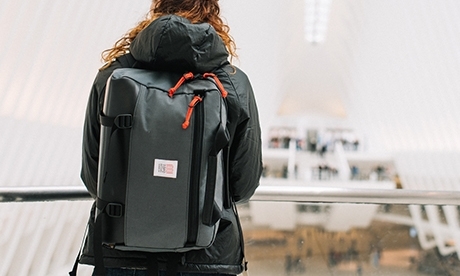 Filson Suit Cover, an abrasion-resistant garment bag sized for two suits, with Bridle Leather carrying options and an oversized zipper pocket. 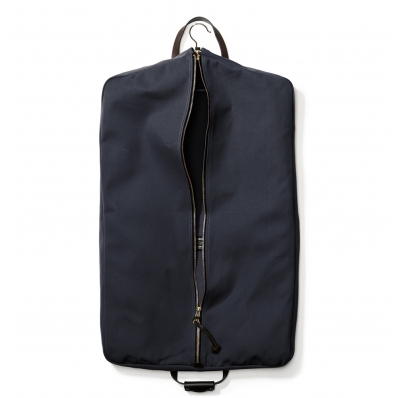 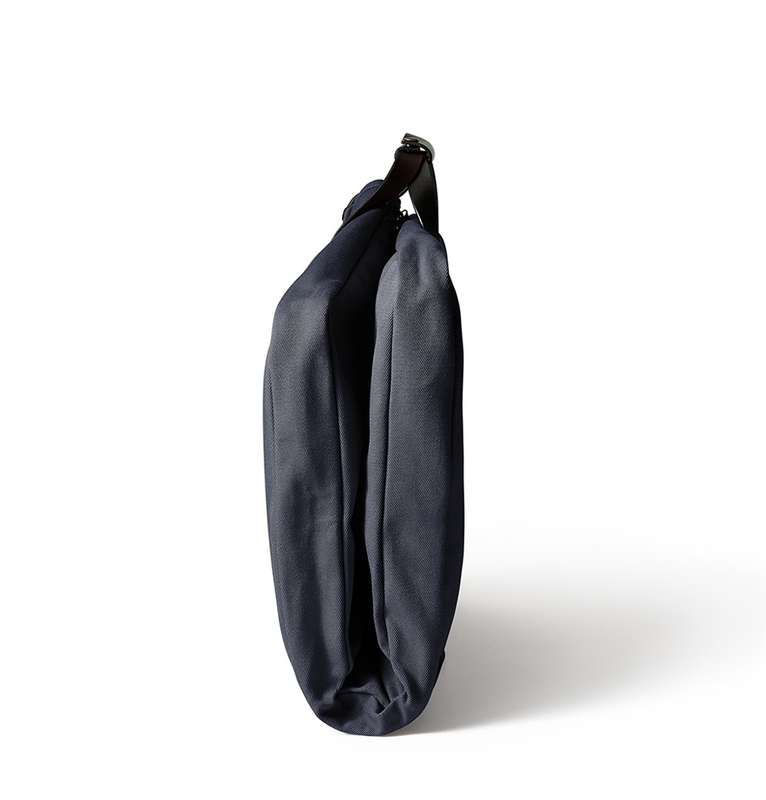 FILSON RUGGED TWILL SUIT COVER NAVY 11070271, sized to hold up to two suits. 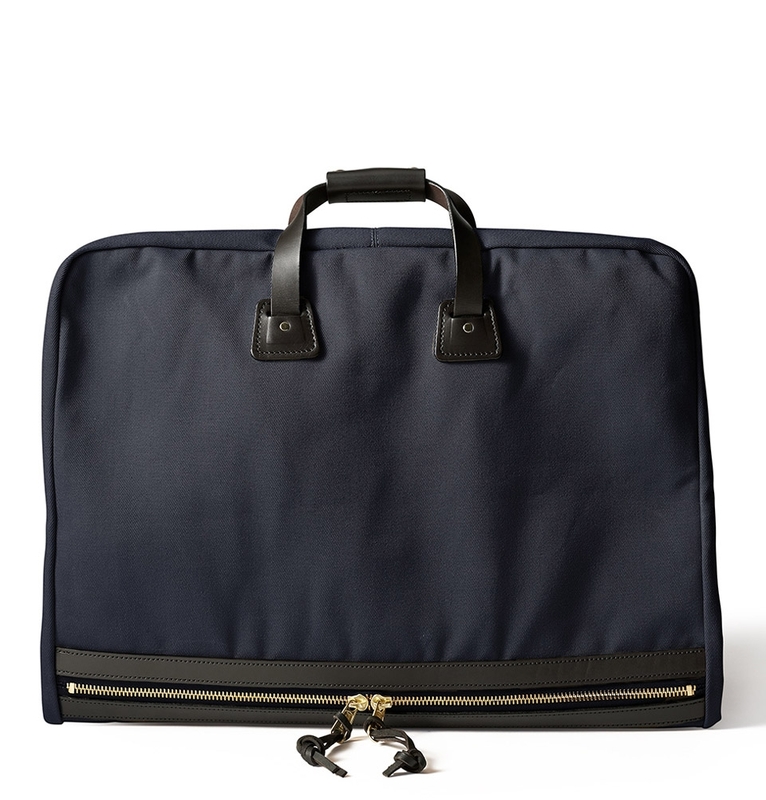 This water-repellent Rugged Twill Filson Suit Cover Navy is sized for up to two garments and has a zipper pocket for smaller accessories. 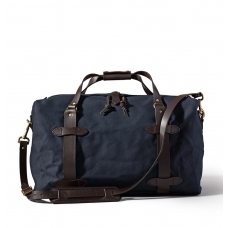 The Bridle Leather handle with two-snap grip folds this scuff-resistant bag in half for easy carrying.